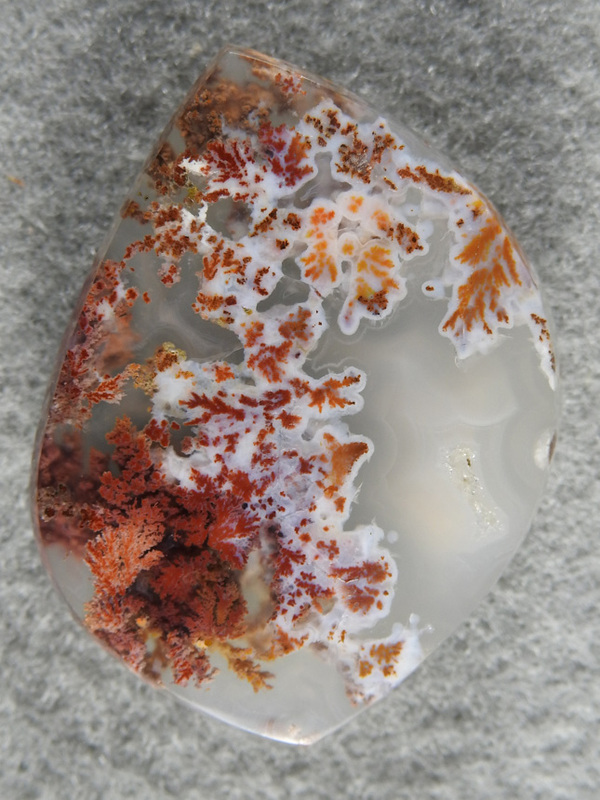 Singleton Bouquet Agate 1585 : Good sized cab of bright colored Bouquet plume. All stones cut by and photographed by Steve Ivie. Images are copyright of the owner.